It’s awfully hard to wake up every day with shoulder pain. It’s difficult not to do whatever makes you happy. 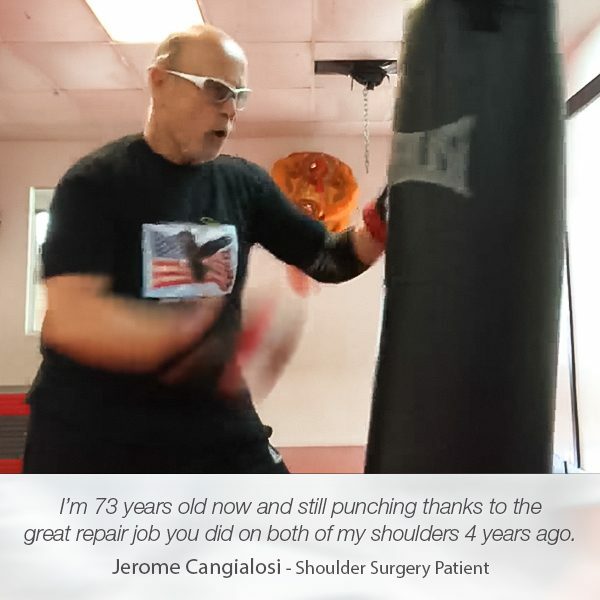 This is what Robert Cardone, a rotator cuff surgery patient, had suffered from for a long period of time. 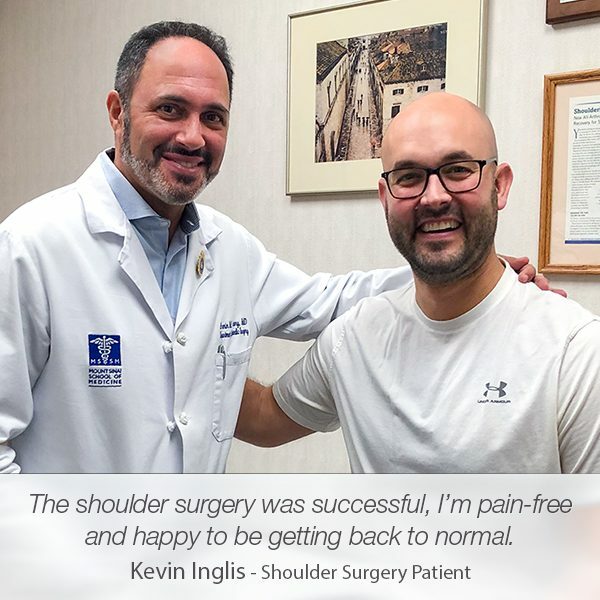 He struggled with a torn rotator cuff, which made him unable to enjoy his favorite sports and free-time activities. 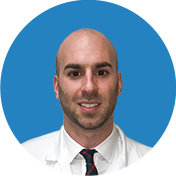 Manhattan Orthopedic Care’s shoulder specialist Dr. Armin Tehrany wasn’t the first orthopedic surgeon Robert went to, but he was the first one to properly diagnose him and perform a successful rotator cuff surgery. A shoulder injury, especially torn rotator cuff, can lead to very serious problems. 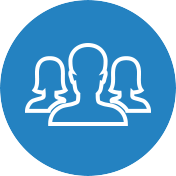 That is why it is extremely important that patients always choose an experienced, board-certified orthopedic surgeon, who will know exactly what needs to be done, and who will provide a superior orthopedic care. 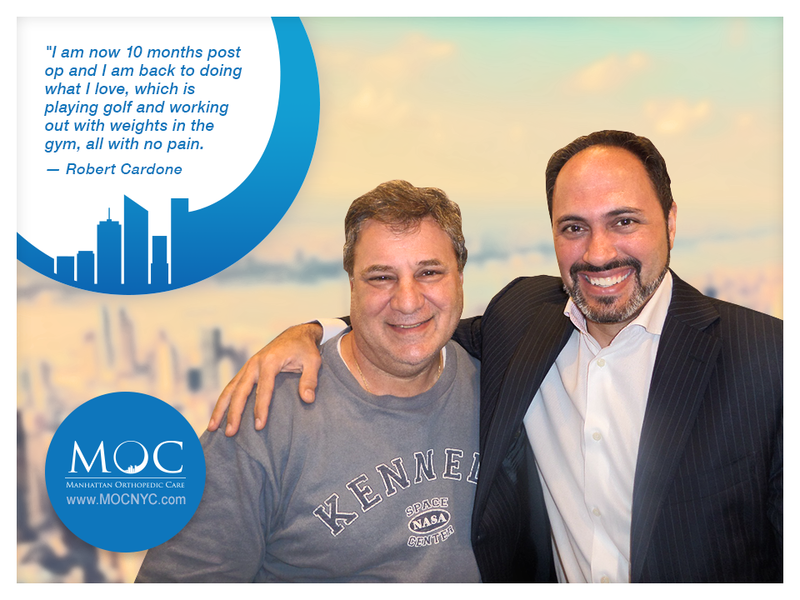 Dr. Tehrany and his team of experts provided the utmost orthopedic care for Mr. Cardone during his recovery process, and are more than glad to see him back on his feet, energized, and feeling better than ever. 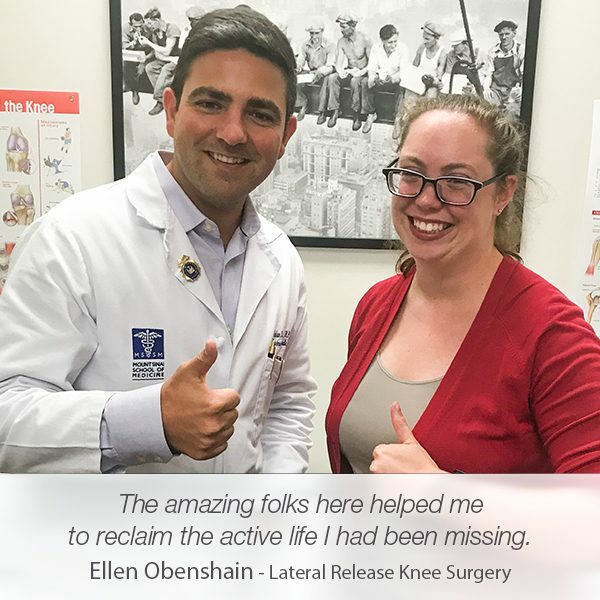 “I am now 10 months post op and am back to doing what I love, which is playing golf and working out with weights in the gym, all with no pain. 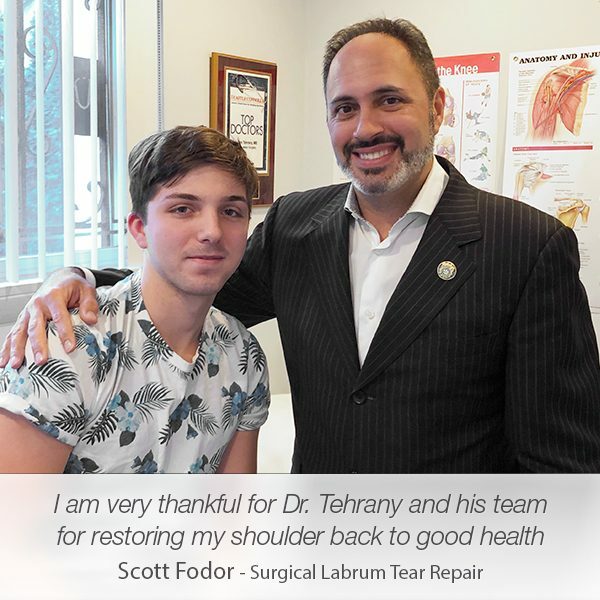 Having placed myself in Dr. Tehrany’s hands was the best decision I made. 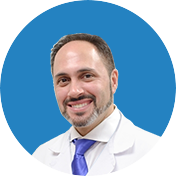 I have no pain, full motion and thank him every day for returning my quality of life to me.”, wrote Mr. Cardone in his patient testimonial. 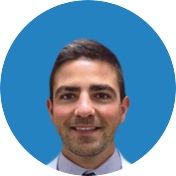 Thank you, Mr. Cardone, for choosing our practice for your rotator cuff surgery and giving us an opportunity to return the quality of your life to you.